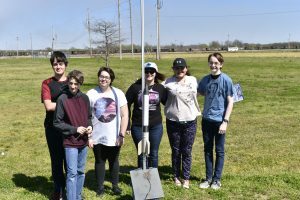 Congratulations to the Rocketry Club students on a successful season competing in the Team American Rocketry Challenge. 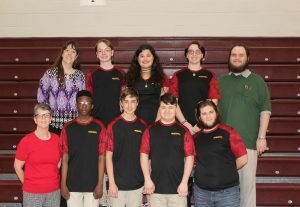 At the End of Year Celebration, team Eggsplosion was named the Regional Team of the Year for their scores on test flights! Team members are Eli Hoff, Willow Sanders, Macie Meshell, Ian Golsby, Ian Duncan and Jonah Rulau. Great job, guys!